On October 24 at the Valdai International Discussion Club meeting in Sochi, Russia’s President Putin correctly and justifiably denounced Washington for destabilizing the world in order to serve its own narrow and selfish interest and the interests of the private interest groups that control Washington at the expense of the rest of the world. Ukraine's ban on Russian media is "wrong and undemocratic", Deputy Director of the Department of Information and Press of the Russian Foreign Ministry said Saturday. Rossiya Segodnya International Information Agency has joined the World Association of Newspapers and News Publishers (WAN-IFRA) on October 1. The US crackdown on the press freedom is particularly disturbing, as Washington has always been seen as a cradle of democracy and freedom of the media, Chairman of the Inter-American Press Association's (IAPA) Freedom of the Press and Information Committee told RIA Novosti on Wednesday. 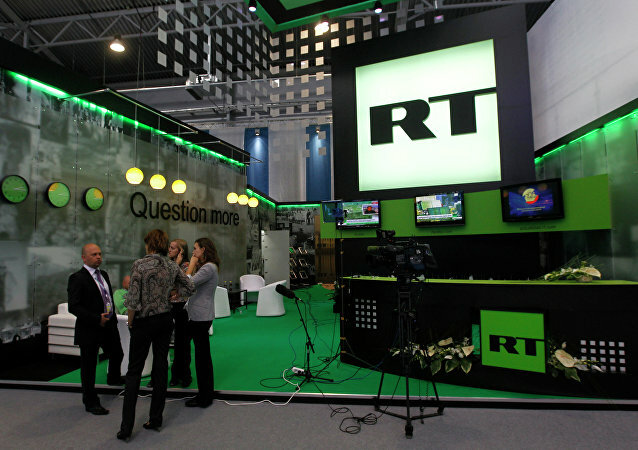 Russia should make every effort to guarantee freedom of expression, support media pluralism, a Human Rights Watch (HRW) researcher told RIA Novosti, regarding the new law, which has reduced the possible share of foreign stockholders in Russian media. The annual Future Media forum is where editors, journalists, media experts, technologists, business people and specialists discuss trends and forms of media development in the short-term. The new law signed by Russia's President Putin stipulates that foreign citizens, stateless persons and Russian citizens, who have citizenship of another country, are not entitled to act as founders of media companies. Russian RT TV Channel reporters came under fire near the Syrian city of Kobani, no one is injured, RT’s editor-in-chief Margarita Simonyan wrote on twitter on Tuesday. The Organization for Security and Co-operation in Europe (OSCE) has recommended its member states avoid limiting the freedom of the media in anti-extremism laws that they may adopt, a communique by the OSCE Representative on Freedom of the Media issued Tuesday reads. British authorities have ordered UK police to reveal whether they have used their surveillance powers to identify journalists' sources, The Guardian reported Monday. Russian President Vladimir Putin received more than 3.9 million mentions in Russian media, leading the Top 30 Media Persons rating prepared by Brand Analytics for Rossiya Segodnya International Information Agency. A picket to protest the bloodshed in Donbas started next to the building of the European Parliament in Strasbourg on Thursday, seeking to attract attention of the European mass media to the unfolding tragedy and to tell Europeans what is happening in Ukraine's southeastern region of Donbas. It seems that everyone in Moscow has already discussed the latest crazy article in the Russian Tatler. It was very difficult for me to write about it, because every sentence caused a sudden urge to swear, but I’ve managed. Lebanese composer and political activist Ziad Rahbani voiced his intention to work for the RT TV channel in an interview with the Al Jadeed Lebanese TV channel Wednesday. Russia needs additional measures to boost its information security amid a surge in cyber attacks against its websites, Russian President Vladimir Putin said Wednesday. The BBC has formally dismissed claims by Iranian state television, Press TV, that said the British news organization had stolen "artistic, historic and cultural" archives from the Islamic Republic. 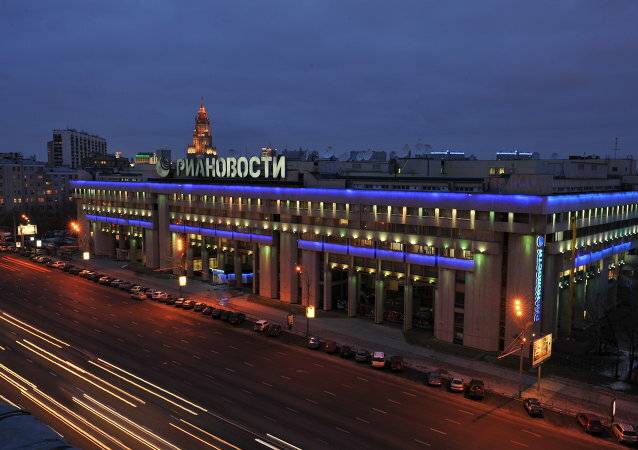 Russia's lower house of parliament, the State Duma, approved in the third and final reading the so-called media ownership law which limits foreign ownership in the capital of the Russian media outlets. Dunja Mijatovic, a representative on media freedom with the Organization for Security and Cooperation in Europe (OSCE), on Wednesday voiced her concerns about the draft amendments to Russia's law on mass media that she said could hurt pluralism in the country. A proposal to impose sanctions on Russian journalists for their coverage of events in Ukraine and Crimea is “absurd and inadmissible,” a senior Russian diplomat said Tuesday. The Indian entertainment and media industry is expected to reach $37 billion by 2018, with an annual growth rate of 15 percent, according to a report published by PwC-CII.